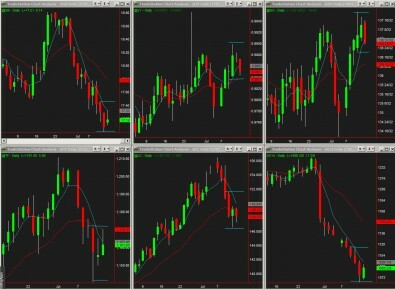 Middle of July on a Monday – could it get any duller….the pit session was dull but the full session bar had range expansion in all four tracked indexes. 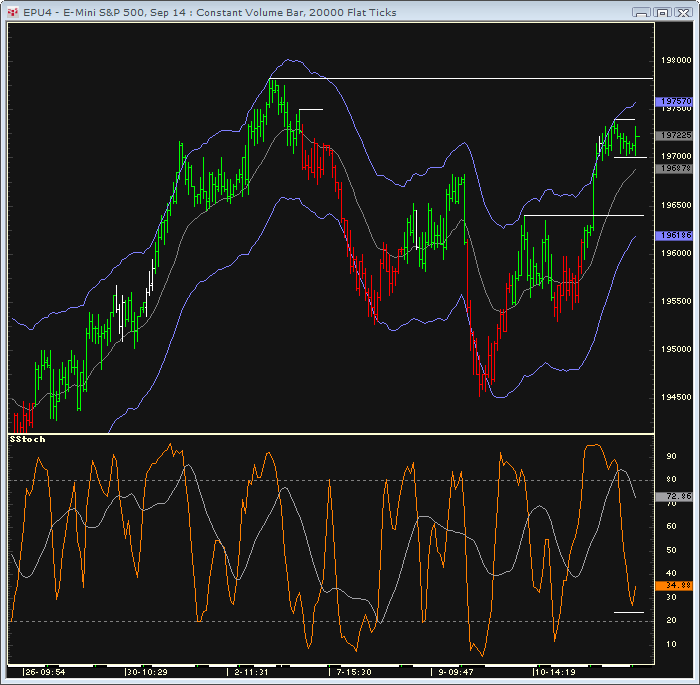 This following an upside breakout from three bar triangle suggests indexes should trade above Monday’s highs. 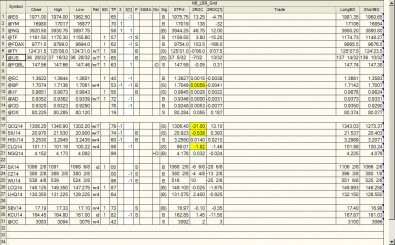 Volume was decent for a Monday despite the narrowest pit session SP range in how long? ! The DOW and Nazdaq futures made all time highs again….the SPs are not far away from a full retest up as well. There is a bull flag consolidation on the intraday charts….if the low of this is taken out, there is a pit session gap the market can trade into. 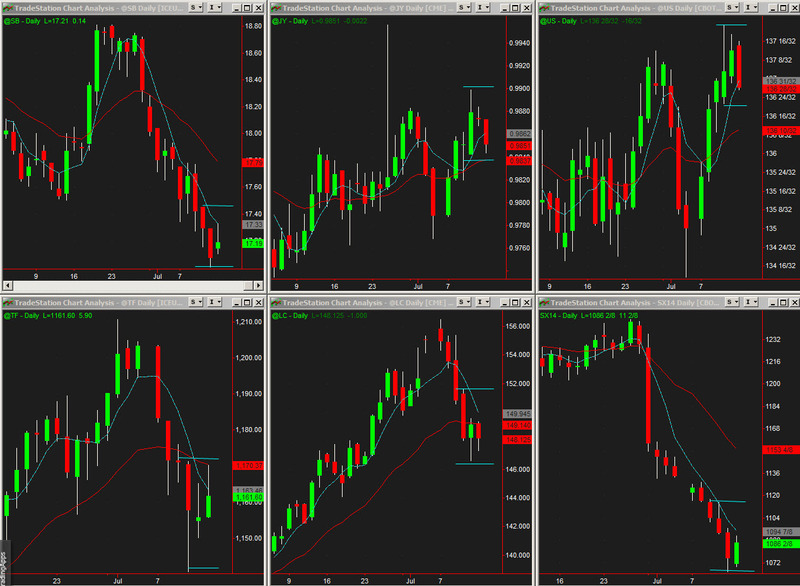 Gold and Silver flushed to the daily EMA. Any further sell-off below Monday’s low is a Buying Opportunity. 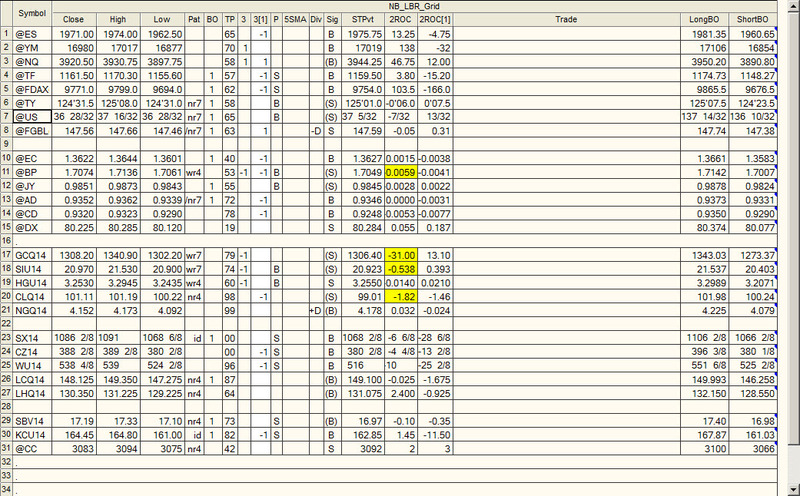 Grains have pinball sells but so much damage has been done already, a test down is for a minor scalp only. There are several interesting consolidations below – the best 3 bar triangle breakout formations come when you have three bars of price overlap showing good consolidation on a 120/240 minute time frame. I like to use the 7 AM reading as my reference point to see if the market can trend off this level or outside of the first hour’s range. Let’s see if these SPs can pick up in activity. Rus will be the one to watch for confirmation!